In Part 1 of this series, guest poster Mandi Ellefson showed how focusing on systems within your business brings out the best. In Part 2, she explains how to choose what to target for the most momentum. If you want to grow your business more sustainably, be proud of every project you deliver to clients, and get the best out of your team — build systems. Focusing on your business processes empowers you and your team to do great work and see more creative, reliable results. But if you’re impatient like me, you want to see that improvement quickly. The good news is you can begin right away with this simple method: Start small, and change one thing at a time. Why? You’ll get immediate feedback. By focusing on one change at a time, you can isolate the results of every change you make. Putting more than one change into the mixing pot makes it tricky to analyze. Even small changes can have larger consequences. Your business is an ecosystem, so tweaking one thing can cause multiple effects. Here are three ways to reveal the best opportunities for you to implement small but meaningful changes. – Where am I losing customers? – What tasks do I dread doing? – What questions do my team keep coming to me with? – Which tasks use a ton of time but yield small returns? – Do I have a staff member who consistently misses steps? – Are particular types of projects especially hard to start or wrap up? Then, start with the pain point that is easiest to address. When you begin with a challenge that can be solved quickly, you gain momentum to tackle larger problems. If your business is running relatively smoothly, then you may find it hard to come up with pain points. One alternative is to head off risks in your business. What simple changes could you make to stop fires from breaking out? Start by creating a prevention list. Divide a sheet of paper into two columns. In the left column, make a list of potential fires — all the things that could go wrong in your business. In the right column, figure out some solutions to these problems. Let’s say you decide to look at the risks in your sales process. You’d start by thinking about potential fires that could hurt your chances of converting a prospect into a client. This could be as simple as putting the wrong business name on a proposal. As small as that seems, little reasons like that can make you lose a client or start off on the wrong foot with a new client. This actually happened to me recently. A company I was thinking about hiring spelled my name incorrectly in the first return email. It sounds petty, but the lack of attention to such a personal detail irritated me and ended up being one of too many little things to ignore. I decided not to work with them. How would you prevent an issue like that? You could establish a one-minute policy that names are triple spellchecked on all proposals. Or set up a step in your sales process to ask all prospects exactly who your project proposal will be going to. Even a small step, when thoughtfully added, can have a great impact on your business. Recently, one of my clients asked me to help him find more time to focus on customer development. We identified one aspect of his service delivery that was taking him a few hours a week that I thought was a great process to delegate. So the next time he had to work on this task, he wrote out very specific steps that anyone could follow and recorded a video to go along with it. Within a week, he had a contractor with some base level knowledge complete the process for his clients. This saved him four hours every week, and he can serve more people. – What steps could I take to reply to leads faster? – How could I shorten my sales cycle? – How could I encourage more referrals? – What tasks could I systematize and delegate or outsource? – What actions could I regularly take that will create a better outcome? With questions like these, there’s no need to wait for opportunity to come knocking. Discover your own. Building effective systems in your business will be the best investment you ever make. 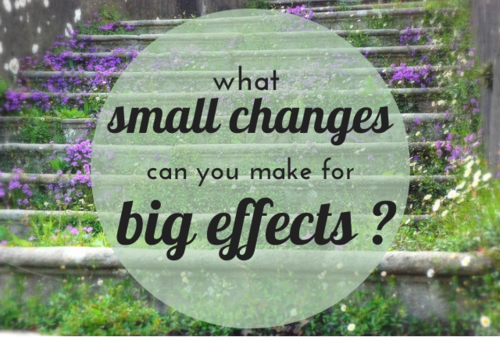 And by making small, meaningful changes, you’ll see the impact of your new systems right away. Liked this guest post? Subscribe to our free newsletter for more content on productivity, management, and how to work better! Mandi Ellefson helps entrepreneurs put the right systems in place to maximize team output and spur rapid growth. She sniffs out and plugs money leaks for her clients worth tens of thousands of dollars.